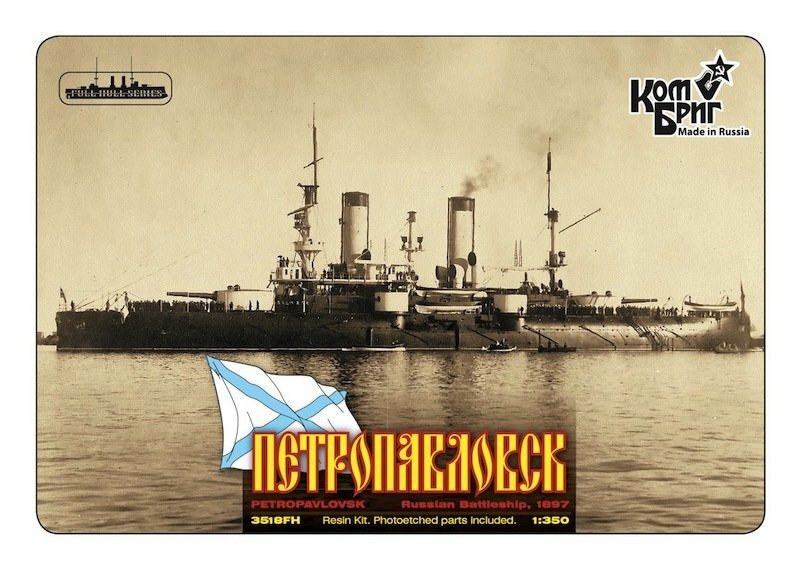 Petropavlovsk (Петропавловск) - named after the battle of Petropavlovsk in the Crimean War, laid down at Galerniy Yard, St. Petersburg, in May 1892, launched in November 1894 and commissioned in 1897. She was transferred to the Pacific Fleet in 1901 and was the flagship of Admiral Stepan Makarov. She was sunk by a Japanese mine on 31 March 1904. Admiral Makarov and his guest, Russian battle artist Vasily Vereshchagin were lost with the ship.